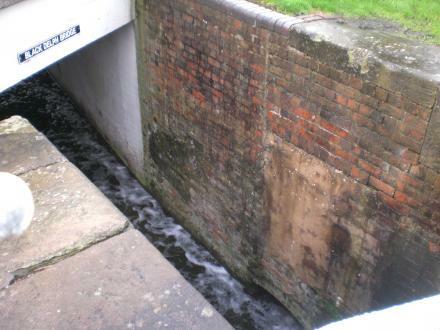 Black Delph is a major waterways place minor waterways place place on the waterways major waterways place village town city at the junction of the Stourbridge Canals (Main Line) with the Birmingham Canal Navigations (Dudley Canal No 1 - Through Route). Leys Junction (Junction of the Stourbridge Canal with the Fens Branch ) is on the Stourbridge Canals (Main Line), 3 miles and 2½ furlongs to the northwest. Parkhead Junction (Junction of Dudley Canals Nos 1 and 2) is on the Birmingham Canal Navigations (Dudley Canal No 1 - Through Route), 2 miles and ¾ furlongs and 9 locks to the northeast. The nearest place in the direction of Leys Junction is Black Delph Bridge; a few yards away. The nearest place in the direction of Parkhead Junction is Delph Bottom Lock No 8; a few yards away. So, this is the Black Delph? This is the point where the Dudley No 1 Canal and the Stoubridge Canal meet. 154 Delph Road, Brierley Hill, DY5 2TY — 92 yards to the east. Lower Mall, Brierley Hill, DY5 1QX — 1043 yards to the northeast. The Waterfront, Brierley Hill, DY51XJ — 1531 yards to the north. 161 Bank st, Brierley Hill, DY5 3DD — 1325 yards to the north. Intu merryhill centre pedmore road, Brierley Hill, DY5 1QX — 1031 yards to the northeast. 33 High Street, Brierley Hill, DY5 3HX — 1376 yards to the north. Delph Brewery Delph Rd, Brierley Hill, DY5 2TN — 296 yards to the west. 26 the waterfront east, Brierley Hill, 51 — 1586 yards to the north. Level street, Brierley Hill, DY5 1UA — 1123 yards to the north. Merry Hill Centre 51, Brierley Hill, DY51 — 949 yards to the east. 68 Intu Merry Hill Center, Brierley Hill, DY51 — 974 yards to the east. The Merry Hill Centre Unit L102, Brierley Hill, DY5 1S — 1111 yards to the northeast. Brierley Hill — 1380 yards to the east. Falmouth — 1388 yards to the northeast. Prince Regent Street, Stockton-on-Tees, TS18 1DB — 1388 yards to the northeast. Kingston upon Hull — 1388 yards to the northeast. 1388 yards to the northeast. Mansfield — 1388 yards to the northeast. Brierley Hill, West Midlands, Brierley Hill, DY5 1QX — 1181 yards to the northeast. The Merry Hill Centre, Brierley Hill, Brierley Hill, DY5 1SY — 954 yards to the east. Cressett Lane, Brierley Hill, DY5 3XS — 1422 yards to the north. High Street , Brockmoor, Brierley Hill, DY5 3JA — 1412 yards to the north. The Food Court, Merry Hill, Brierley Hill, DY5 1SJ — 1316 yards to the northeast. Brierley Hill — 938 yards to the north. Manpur-Sikrai Road, Brierley Hill — 569 yards to the north. Pedmore Road, Brierley Hill, DY5 1 — 1189 yards to the northeast. Bank Street, Brierley Hill, DY5 3DH — 1061 yards to the north. Manchester — 1388 yards to the northeast. Brierley Hill — 1625 yards to the southeast. The Waterfront, Level St, Brierley Hill, DY5 1UR — 1323 yards to the northeast. House of Commons, SW1A 0AA — 1388 yards to the northeast. unit 2, venture way, Brierley Hill, DY5 1RG — 630 yards to the northeast. 389 ringwood rd, Poole, BH12 4LT — 1388 yards to the northeast. Merry Hill Centre, Brierley Hill, Dudley, DY5 1SY — 876 yards to the northeast. Level St, Brierley Hill, DY5 3 — 1123 yards to the north. Pensnett Road, Brierley Hill, Brierley Hill, DY5 3YP — 1506 yards to the north. Level St, Brierley Hill, DY5 1UR — 1304 yards to the northeast. 17-23 High St, Dudley, Brierley Hill, DY5 3AB — 536 yards to the north. 1 Piers Road, Birmingham, B21 0UY — 1388 yards to the northeast. 1233 yards to the east.